Ours was a 1978, but was almost the spitting image of the car you see for sale here in Carmagnola, Italy for just 3,000 Euros. 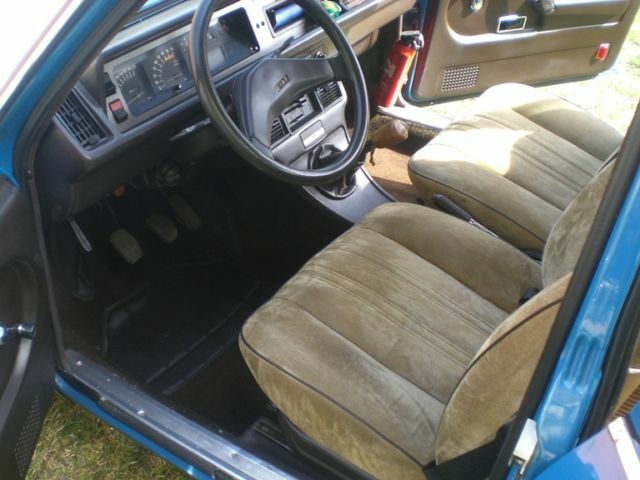 Ours was even the same color scheme – blue on tan – although ours had tan pleather on (only!) the front seats that started peeling about the same time the car started rusting, which was day 2. Or possibly day 3. Ours also had the 2.0 liter motor instead of the 1600, but both are good powerplants and parts are readily available here in the U.S. A swap to the bigger motor would be pretty easy and inexpensive. Heck, you could probably do a late-model injected motor from a 2000 Spider or Pininfarina Azzura for almost nothing besides labor. But I digress. Dad bought the Fiat 132 in Hong Kong as a company car to replace a terrible VW Passat (Dasher) hatchback that squeaked, squealed, and smelled like durian melon. If he were here and being honest, I think he’d say that he really wanted a BMW E12 5-series, but the Fiat looked very much the part and cost about half as much. His was a 5-speed manual like this car, and it was the car I learned stick shift in. Being right-hand drive, I got to sit in the proper (for us ‘muricans) left front seat to row the gears. 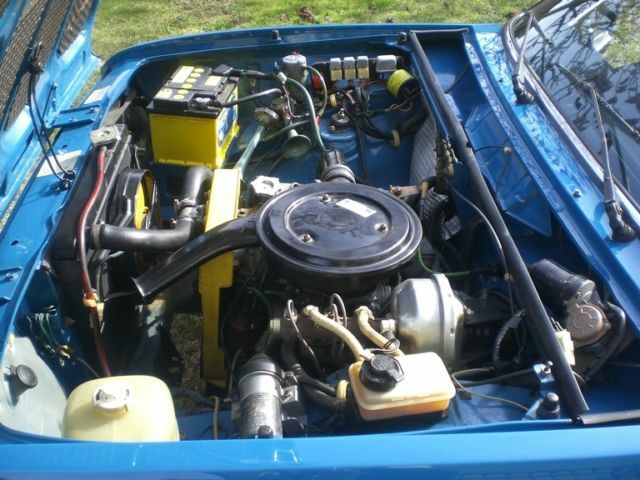 The motor, as he later described it, was a little asthmatic, but that may have been environmental as much as anything. It was certainly quick enough to get out of its own way, and he always remarked that it handled well. My understanding is that they share a number of underpinnings with their 131 Mirafiori brethren. Fiat never sold the 132 on these shores, so right off the bat it would be a rarity among the US car set, especially folks with a penchant for the esoteric yet unusual. Folks like us. The seller describes the car as being “in ottime condizioni, da utilizzo quotidiano, revisione meccanica effettuata (cinghia distribuzione, freni,olio), nessun lavoro da eseguire, molto bella, pronta a qualsiasi viag” – which is to say mint condition, everyday driver, new timing belt, brakes, and oil, very beautiful, and ready to travel, more or less. The key question here is how much it would take to get it here. If we assume $2k, after negotiation you’re looking at a car for between $5,000 and $6,000. It’s a lot of money for a novelty, and ultimately time and the marketplace would be the only gauges of value. You would most certainly be the only Car Geek on your block to own one. I’ll be honest – I’m actually tempted by this car. Part due to nostalgia and my Dad, and part due to the fact that it would be kinda cool to tool around town in this thing. There is every possibility that it would ultimately go the way of nice 131s and Alfa sedans value-wise, especially due to the rarity factor. But then again, you might end-up with a $6,000 $3,000 car and not much else to show for it. As Dad would have said (and recently did about the purchase of an ML320 I made): “it brings TTS to a whole new level”. Maybe, but I could just be that stupid. And on that note, Dad, wherever you are. This one’s for you. You’ll remember the car all too well, and how I almost ran over Phil because I couldn’t let the clutch out smoothly and slowly enough. Then again, I was all of 10 years old, and I didn’t actually kill anyone.. I look forward to seeing you again someday, and I’m counting on you to pick me up in something interesting. We still haven’t bought our 911 together, so that’s a thought. Godspeed. 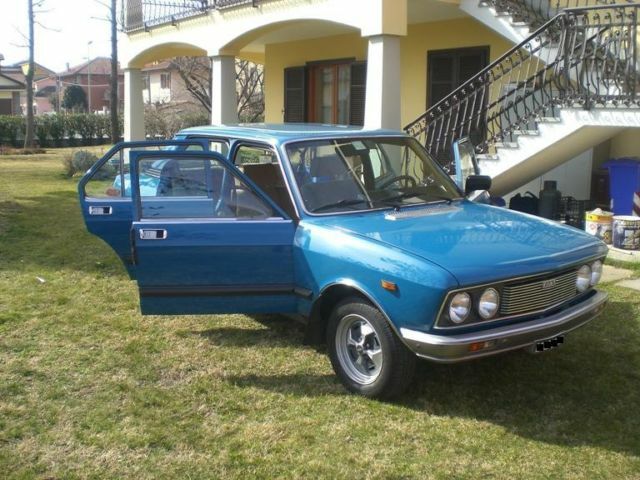 This entry was posted on Thursday, July 11th, 2013 at 3:29 PM	and tagged with 2000 Spider, Azzura, BMW E12, Fiat 131, Fiat 132, Fiat 1600, Fiat 2000, Fiat 850, Italian Cars, Mirafiori, Pininfarina, Spider 2000, Volkswagen Passat and posted in Commentary, Story Time!, Totally That Stupid. You can follow any responses to this entry through the RSS 2.0 feed. I got my first driving lesson in 1978 in my uncles Fiat 131 Mirafioiri. I let the clutch out too quick and the car jumped a couple of feet on to my uncles foot. That was my last driving lesson. Growing up on a farm I eventually taught myself to drive. Various cast-off cars belonging to my father were used. A Peugeot 504, a 604, an Audi 100, a Volvo 144, A Mercedes W116 280SE. All in the period 1978-1981. Fun. I bet our fathers are swapping notes now. Eddie in Dublin. Nice one, it got my eyes a little moisty. Same experiences here (although my father’s 132 was blue and was an oil burner) and had a huge drome on the bonnet (or so I remember it). 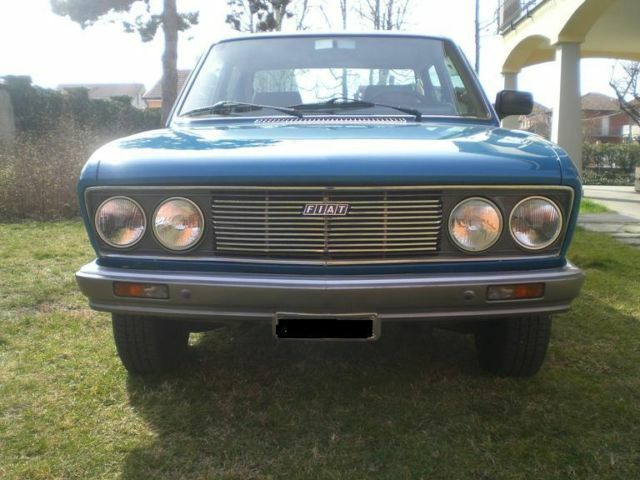 FIAT 132 GLS: My uncle had a red one. I think it was a 1.8L version. 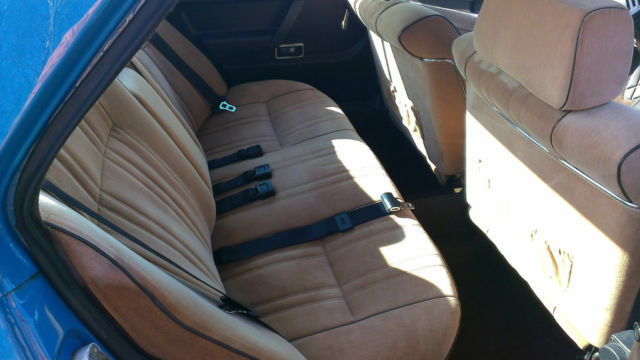 Brownish interior but front seats had no headrests. Typical of Italian cars, the headliner started to sag and door weatherstripping also drooped. Being a young kid, the car seemed large at the time. Engine made nice sounds but not as nice as the twin cammers in Alfa Romeos at the time. I fondly remember the one in the pics above as it was when the time when 70’s design went plastic on bumpers, grille, blacked out door window frames and modern style instrument gauges. 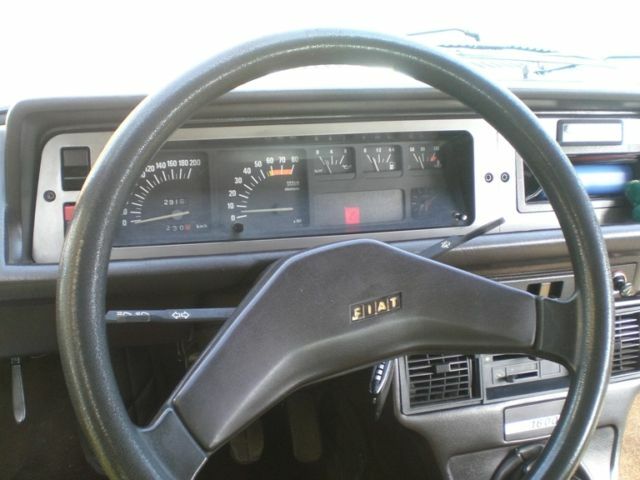 These design trends were the norm for cars facelifted in the early 80’s. 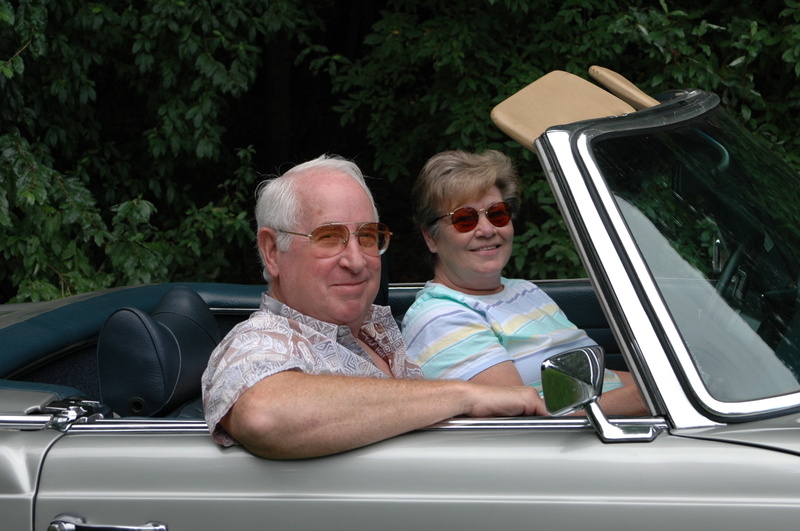 My uncle later moved on to an Alfetta 2000. I actually got to drive it after he sold it to another uncle many years later. Foot pedals were awkwardly placed as they hurt your ankles. Clutch was heavy and gear linkage was a hit n miss affair as gearbox was rear mounted. Engine sounded great though! Btw, keep up the great work. I just found your site by chance yesterday. My dad had 5 132s (including an Argenta) between 1974 and 1985. I adored them, especially the 1979 2-litre metallic silver automatic. They had so much character and life – all my friends’ dads had the far more boring Cavaliers and Cortinas. i would LOVE Fiat to make a new version, as they have done so brilliantly with the 500. A great and touching post, thank you.